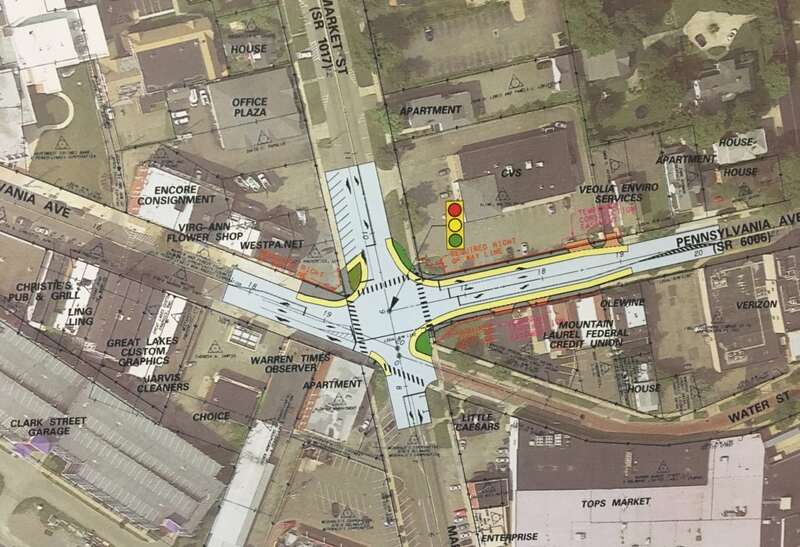 PennDOT proposalConstruction plans at the intersection of Pennsylvania Ave. and Market Street include 2 proposals; a signal replacement and minor modifications of the existing 4-way stop, and a roundabout. Wednesday evening the public was invited to the library to an open forum to give feedback on the proposals. The intersection of Pennsylvania Ave. and Market St. was back in the limelight. PennDOT held a public forum at the Slater Room of the Warren Public Library on Wednesday night to seek feedback on the intersection, which is slated for construction in 2020. 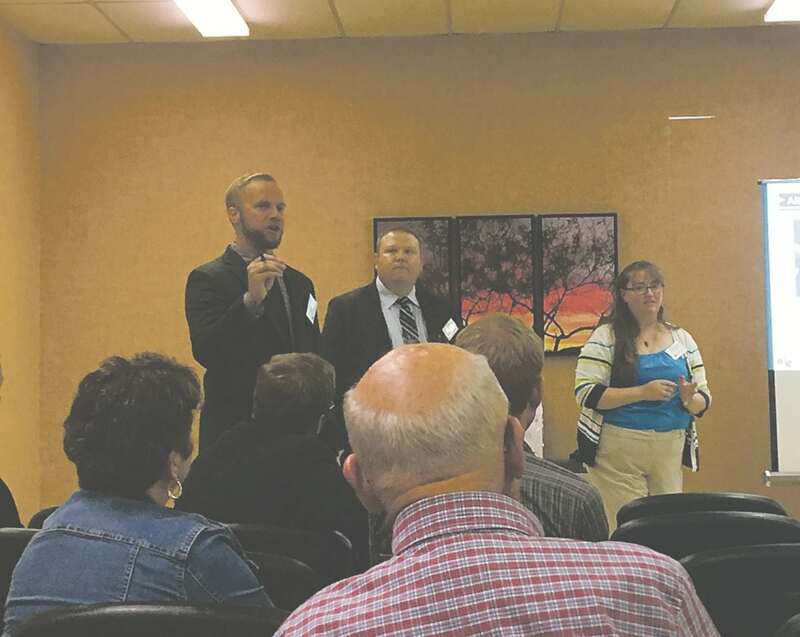 PennDOT and staff with consulting firm ms consultants, inc. outlined two options – replacing the traffic signal and increasing turning radii or the installation of a roundabout – and took questions from approximately 20 members of the community that were present. Times Observer photo by Stacey Gross RDA members Laurie Burdick, Lorri Dunlap, and Pamela Matve (background) and Dan Glotz, Andrea Stapleford, and Joe Scully (foreground) discussed bringing Commissioner Jeff Eggleston onto the board in an advisory role on Tuesday. Times Observer photo by Josh Cotton Brian McNulty, assistant district executive for design, speaks during a public forum held on Wednesday at the Warren Public Library to discuss options for the intersection at Pennsylvania Ave. and Market St.
Times Observer photo by Brian Ferry The City of Warren is looking to add to its urban forest by planting 70 street trees this fall. Residents interested in free trees for their tree lawns are asked to contact the Department of Public Works at 723-6300. 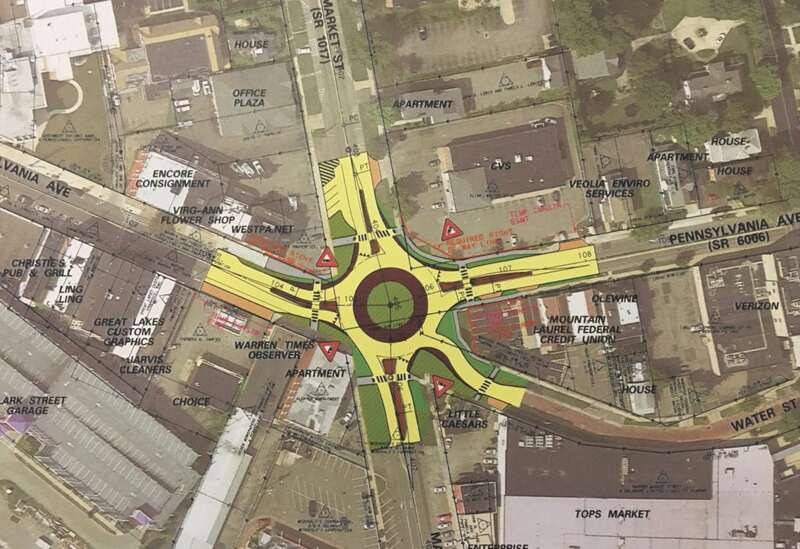 PennDOT proposal Construction plans at the intersection of Pennsylvania Ave. and Market Street include 2 proposals; a signal replacement and minor modifications of the existing 4-way stop, and a roundabout. Wednesday evening the public was invited to the library to an open forum to give feedback on the proposals. Brian McNulty, assistant district executive for design, outlined the process to get a project like this to this stage. “There is a need to improve safety,” John O’Mara with ms consultants, inc., said. O’Mara said that there were nine reportable crashes at the intersection over the last five years, including two involving pedestrians. “One way that we engineers evaluate (is to) try to fix the geometries of the intersection,” he said. The first option – a signal replacement – would keep “the alignments where they are at,” O’Mara explained. “(An) additional left turn lane… is warranted. This option at a minimum would require reconstruction of all the radii to enlarge the radii to accommodate large vehicles. It’s not much different than what’s out there today. The discussion then shifted to the possibility of a roundabout at that intersection. O’Mara said a “reconstruction of the roadway” would be required. He pointed out that roundabouts are safer, motorists approach at slower speeds and pedestrians only have to cross one lane at a time. McNulty said that there are between 3,000 and 4,000 roundabouts across the country and that data shows significant reductions in crashes. O’Mara detailed the truck apron – a “slightly raised, elevated area” – designed to provide additional space for trucks to make the turns. O’Mara said phase construction is possible with a roundabout in order to keep some traffic movements open. He also outlined a detour that uses Dorcon, the Glade Bridge and the Ludlow Street exit. He said the specifics on phasing are “just potential” at this planning phase. “Safety is the number one reason why they are evaluated,” O’Mara said, dealing that the number of conflict points between cars are reduced from 32 to 8 and between cars and pedestrians are reduced from 24 to 8. He did say that there could be a cost to the city if the city elected more aesthetic options for the light poles. The utility company is also responsible for cost related to moving those lines and that could bring a cost to the city if there are sewer lines that need to be moved. The rest of the project would be paid for via state and federal funds. Cost projections provided at the meeting indicate a total cost of $2 million for the light replacement and $2.5 million for the roundabout. 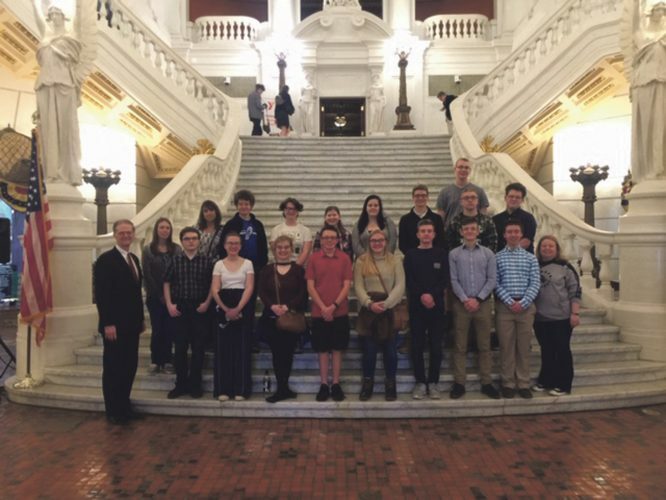 A host of issues were raised by the public – concerns about pedestrian safety, truck traffic and plowing. Some cast skepticism about whether the data on roundabout safety would be accurate here, others questioned whether any improvement is needed with only nine accidents in five years, while others raised concerns about whether a roundabout would actually improve traffic flow. He said much of the plowing takes place in non-peak hours. A third option was put forward by those in attendance – an option where the traffic light would be replaced but would stay red all ways to give an “exclusive pedestrian phase.” Officials indicated that that option would be reviewed. 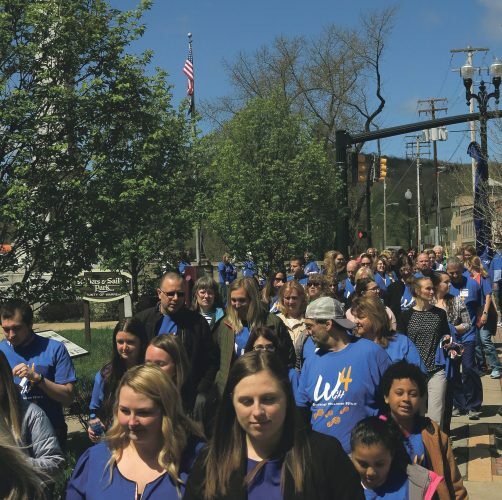 The decision among the options rests with Warren City Council. City Manager Nancy Freenock indicated that she is unsure when the decision will be brought before council as there are multiple members who have not been able to review the proposals. She said council may to invite PennDOT to a work session in order for council to gather all the information needed to make the decision. One member of council did speak during the session. Giannini called this intersection “probably the worst” for pedestrians in the downtown. McNulty said that a session for public officials was held prior to the public session. “There was not a consensus as there really isn’t one here,” he said of the sessions, noting that the city will have to enter into a maintenance agreement with the state for one of the options. “There is a decision that the city would have to make,” he said.